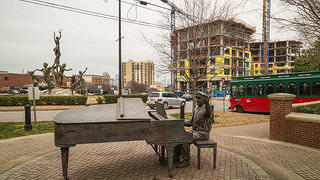 Music Row has been the focal point of Nashville's music industry for almost 70 years. From within its modest homes and small commercial buildings, artists, songwriters, producers and publishers have created a remarkable canon of popular music. 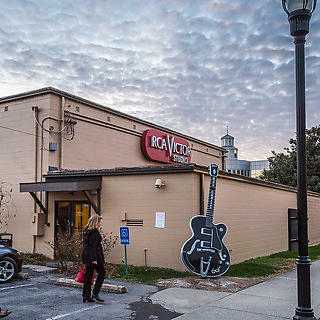 Despite its significance to the identity, economy and culture of Music City, Music Row remains vulnerable to Nashville's booming development--most recently evidenced by near demolition of RCA Studio A. The National Trust, together with music industry and preservation partners, seeks to give voice to Music Row, raising awareness of its importance and the growing threats to its survival. New high-rise construction near Owen Bradley Park at the entrance to Music Row. Development pressure approaching historic RCA Studios A and B. 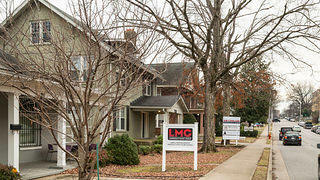 Modest houses are now home to music industry businesses along Music Row. Music Row is Nashville's world-famous center of songwriting, publishing and recording where many of the biggest starts from today and yesterday have recorded their music. Elvis Presley, Dolly Parton, B.B. King, Ben Folds, Faith Hill, Miranda Lambert and Keith Urban and are just a few of the stars who have made legendary music on Music Row. Businesses including BMI (Broadcast Music Inc.), ASCAP (American Society of Composers, Authors and Publishers, SESAC (Society of European Stage Authors and Composers), NSAI (Nashville Songwriters Association International), Word Music, Curb Music, Warner Brothers Music, SONY, Disney Music, and MCA Records make their home in large office buildings located alongside Music Row's 19th century houses and modest mid-century office buildings which house music publicists, attorneys and other businesses. The dense concentration of music related businesses, the caliber of the artists from its past and present, and its relevance to the creation and production of music at all levels makes Music Row truly a national treasure. 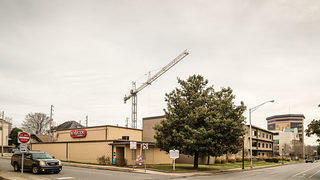 Document, promote and build support for the unique history of Nashville’s Music Row to deter demolition and encourage plans for future development that will incorporate historic preservation principles and support a thriving music industry. Secure the future of Music Row by documenting, celebrating and promoting its significance to the culture, economy and identity of Music City. 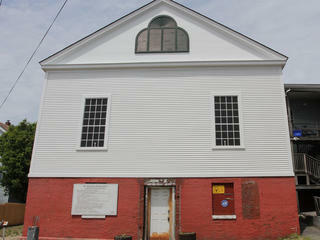 Donate to our campaign to save Nashville's Music Row. Sign our pledge to stand with Nashville's Music Row.